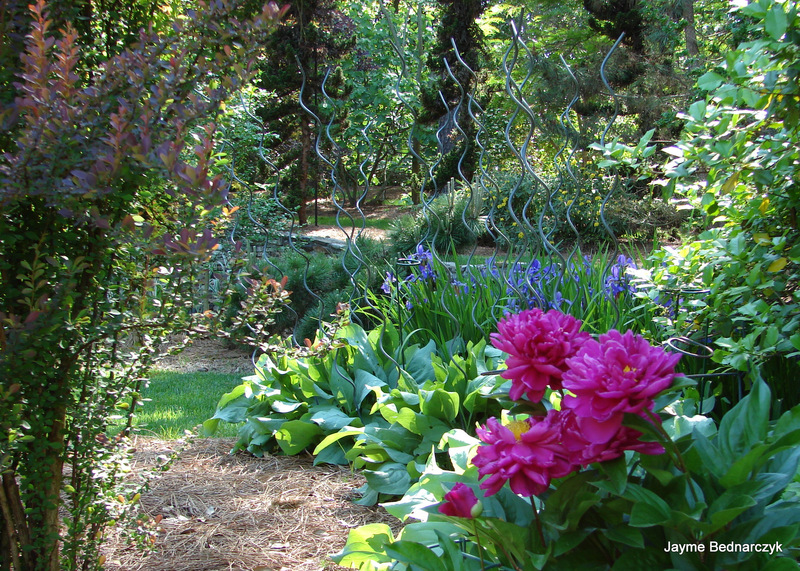 As gardens evolve through the seasons— it is lovely to experience the transition. Peony in the herbaceous border . Jean & Lawrence Shuping invite you to relax in their three-acre refuge of peace and serenity.